Dell branded (non-generic) 900GB 10K 2.5 inch SAS HDD for your EqualLogic storage needs. 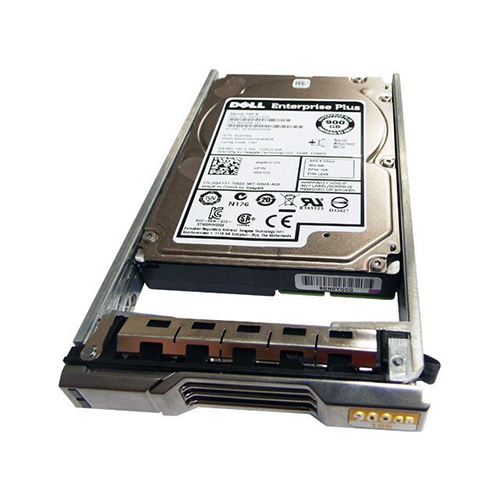 The 0GKY31, 9WH066-157 is a 900GB 10K RPM SAS hard drive with tray for use specifically in Dell EqualLogic storage arrays. Whether you’re upgrading your Dell EqualLogic storage system or simply looking for a replacement hard drive, we have what you need. The Dell GKY31 drive is the highest-capacity 2.5-inch, 10K drive and the first SFF drive to offer four capacity points on a single platform. This drive enables improved storage efficiency by providing up to 900GB in a single drive, helping data centers manage more data without increasing the number of drives, all while increasing sustained data rates by 18% (over previous generation) and maintaining favorable power consumption rates. The small form factor allows enterprises to solve space constraints through higher-density storage. Seagate PowerChoice technology enables OEMs and data centers to tailor systems for performance and power consumption, enabling green IT initiatives. Self-Encrypting Drive (SED) option (AES-256) cuts IT drive retirement costs while securely protecting data where it lives—on the drive.